By Bonnie on the Road on May 20, 2016Life is an amazing ride and Sportster is a great guide. He gently shows us that all who wander are not lost but are on a journey of understanding. Loved this easy warm read on a rainy day. Highly recommend this getaway read! By susan anderson on May 29, 2016My 3rd book of reading from this Author. I had gotten to know Sporster through the other books. To follow him on this journey had me happy, sad, cheering, etc. Again, I had a hard time putting this book down until it was finished.Thank you again Judy for another good book. Give Sporster a hug for me. Wow, a story you can't put down! Follow Sportster on an unexpected journey that brings out emotions you never expected. A captivating story that is full of sorrow, fun and laughter plus comfort. It keeps your attention and you can't wait to see what happens next. A recommended read for all! I haven't read a book like this in a very long time. Judy hit the “publish” button. I prowled the hall and paced from window to window. I didn’t sleep. I felt like pulling my hair out but I am too pretty to do that. I must keep my distinguished, in control image. 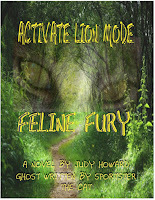 Mom has been busy marketing and getting the word out to everyone about my book, ACTIVATE LION MODE and her book, MASADA’S MISSION. So busy she is left my dish empty at times. Unacceptable. I don’t want to have to call SPCA, so please help her pass the word along about my book. She is the experienced writer. My book is the fifth one she has published. She said, “Get used to the roller coaster ride,” and she hit “Publish.” Then, she sat back, patted my head and started pounding out the words of her next book. I tried to push her away from the keyboard in order to check my sales ranking, but she wouldn’t budge. 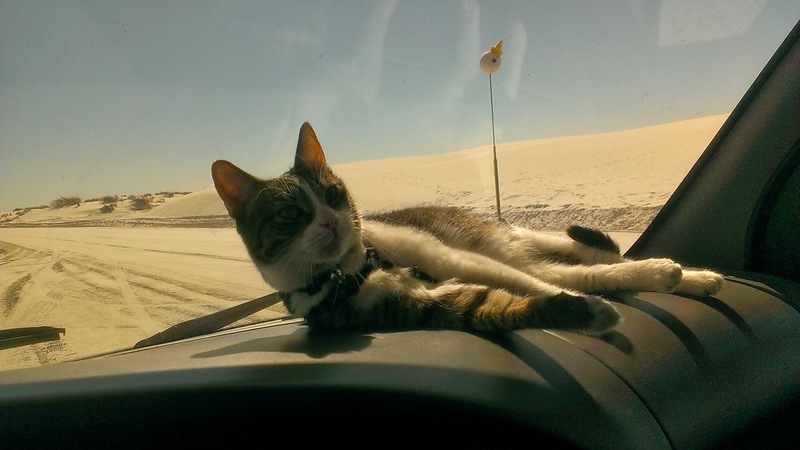 She began spitting out the pages of her next book, which she’s keeping a secret, so I figured I would start twitching my tail, rubbing my head and sleeping on the ideas for our next adventure in The Feline Fury Series. No, this is not Lincoln's Home, this is Judy's home where she grew up. It will be an historic landmark when our books hit the New York Times Best Seller list! Judy’s hometown of Springfield, Illinois. 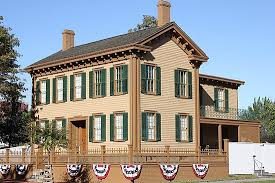 The Mother Road and the home of Abraham Lincoln will also be the setting of my next adventure in the Feline Fury Series. What do you think will happen along this historic route? Who knows? I’m taking all suggestions. In anticipation of this trip, every time Judy carries something to the motorhome, I wait at the door hoping that she will take me next I miss laying on the motorhome’s dash and watching the world go by. I want to prowl a campsite and investigate. Find the clues left by past visitors, their historic scents and maybe even a lingering footprint. So for now, send me your ideas. What could possibly happen to Judy and me on Route 66 before we reach Springfield, Illinois? 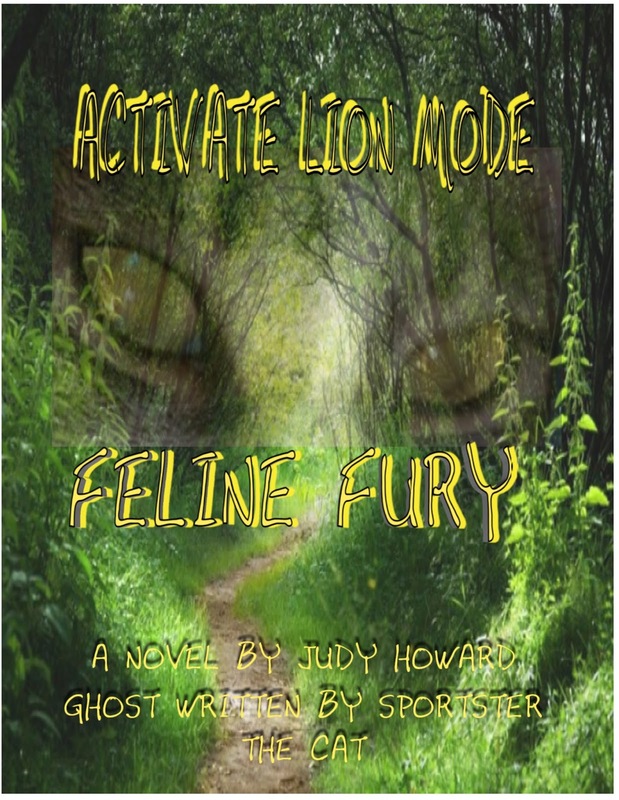 Judy - Just love it, so excited for you and Sportster...can't wait to read the book, Activate Lion Mode!! Summer reading!! 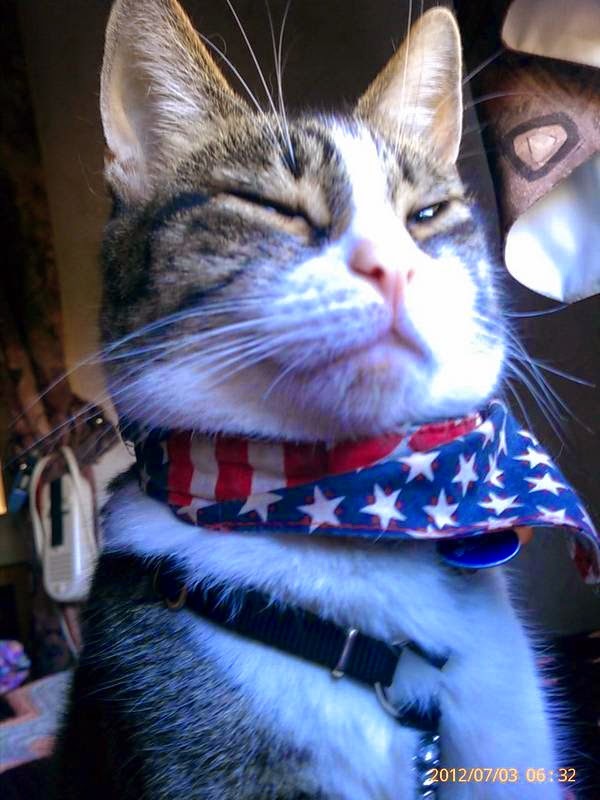 Thanks for sharing so much, and please give several treats to Sportster (recommended by Buffy and Luna). 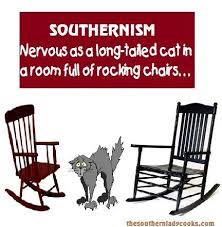 Maybe one of Abe Lincoln's cats is an ancestor of Sportster??? I wouldn't be surprised!